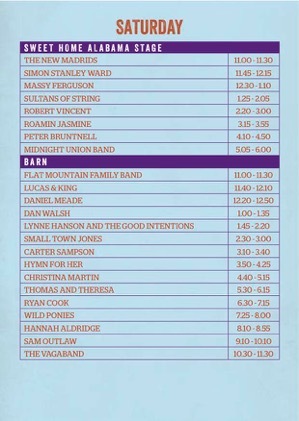 The signal to start planning for the Maverick Festival arrived with the unveiling of the full weekend schedule. 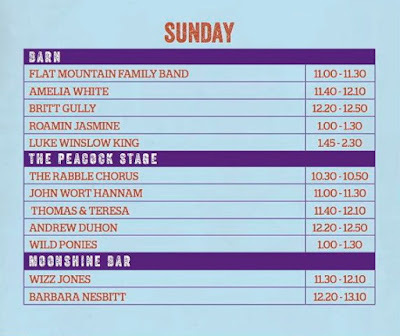 This announcement coincided with the revealing of a whole raft of new names, to without doubt make this the most extensive line up of Americana/roots artists on the summer festival circuit. Unfortunately it was announced that Los Pacaminos had pulled out of the event, yet this was compensated by an enhanced depth to the range of artists scheduled which is probably the festival’s defining feature. To stock up on the home grown talent on offer, it was a case of the old and the new. The most eye catching addition was Yola Carter who will play the Barn on Friday evening in one of the prime slots. Yola has been gathering praise as a solo artist in recent times and her style of soulful blues will add an extra dimension to the weekend sound. Making their Maverick debuts alongside Yola are Scottish artist Daniel Meade bringing his stomping brand of honky tonk roots south of the border and English singer-songwriter Robert Vincent, the inaugural recipient of the AMA UK Bob Harris emerging artist award earlier this year. Peter Bruntnell is no stranger to the festival and there is a 100% guarantee that his set will rock the Sweet Home Alabama stage late on Saturday afternoon. On the subject of artists to raise the tempo and inject a dose of rock into the proceedings, Seattle based alt-country rockers Massy Ferguson have been invited back after impressing everyone two years ago. Once again they will grace the outside Sweet Home Alabama stage on Saturday lunch time, no doubt playing songs from their new album. In contrast, three other recently confirmed artists from America make their Maverick debut and will play eagerly awaited sets. Carter Sampson is the proud owner of an excellent new record titled WILDER SIDE and for thirty minutes on Saturday afternoon the Barn will succumb to the wonderful earthy sounds of Oklahoma. Husband and wife duo the Wild Ponies will also be playing Maverick for the first time and are beginning to grow their UK following on the back of several recent visits. Amelia White is another new artist perfectly equipped with the Maverick sound. Her couple of sets spread over the weekend is an example of the smart scheduling which partially alleviates the unfortunate scenario of artist clashes. 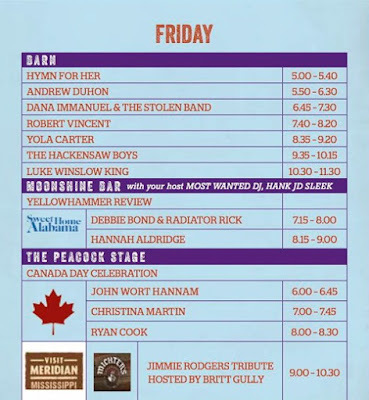 The first part of Friday evening in the Peacock Café is designated as a Canada Day celebration and although not part of the trio of acts playing then, Ottawa based artist Lynne Hanson is a worthy inclusion to the line-up. 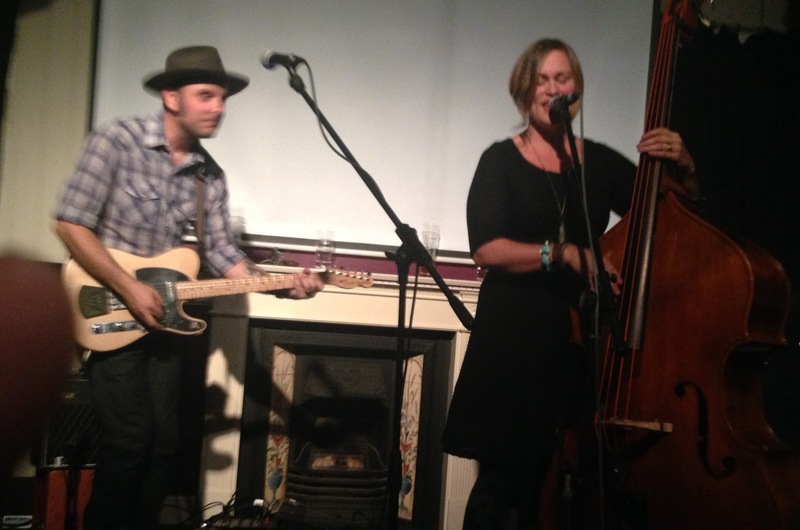 The Barn on Saturday afternoon is one of the recommended places to be when Lynne and her band The Good Intentions take to the stage. 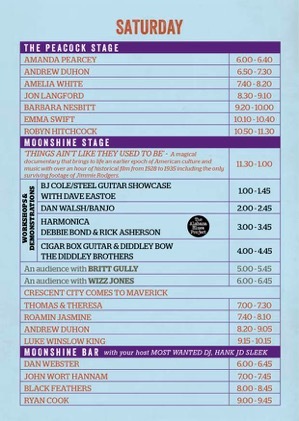 Just a quick word on a further couple of themes inserted into the scheduling, Britt Gully hosts the Jimmie Rodgers tribute in the Barn late on Friday evening and the sound of New Orleans is celebrated in the 'Crescent City Comes to Maverick' presentation on the Moonshine stage on Saturday. As previously mentioned at the festival launch and in the initial preview piece, Sam Outlaw, Robyn Hitchcock and Jon Langford are among the higher profile artists appearing over the weekend. As in previous years the Maverick Festival will have a twin appeal for folks heading to its Suffolk location. Serious music fans can really get their teeth into the wealth of acts scheduled, while more casual observers can add the splendid idyllic surroundings of Easton Farm Park to what always ends up to be a weekend to treasure. Maverick continues to be the most cost effective event on the festival circuit and on the evidence of the last eight years, 2016 promises to be every bit as good.